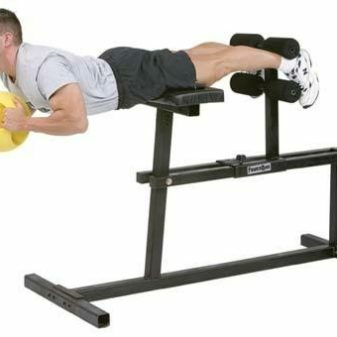 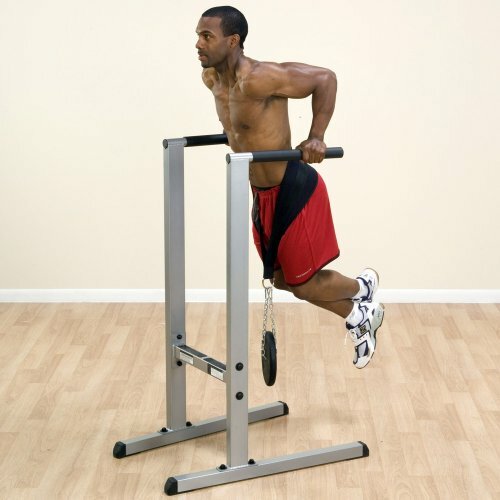 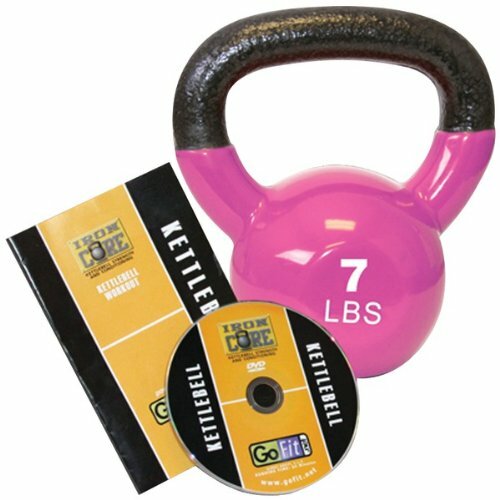 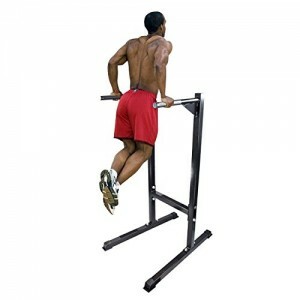 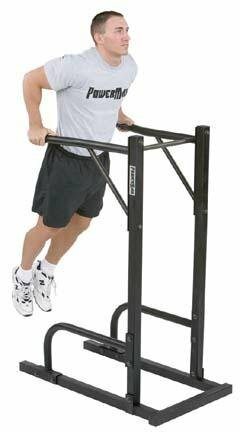 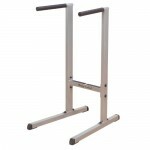 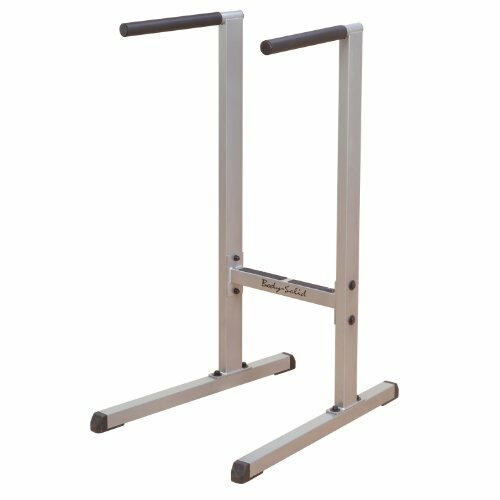 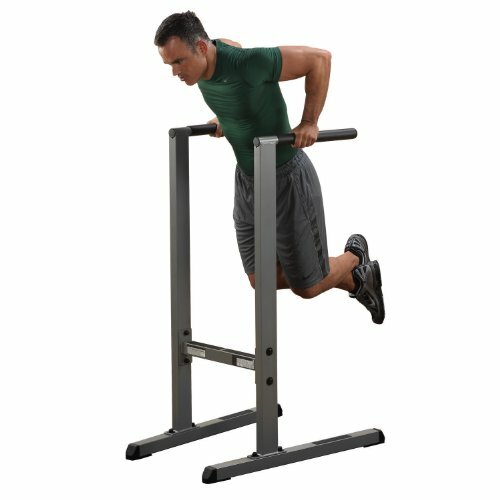 Build awesome shoulders, thicker delts, and killer triceps with the Body Solid freestanding dip station. 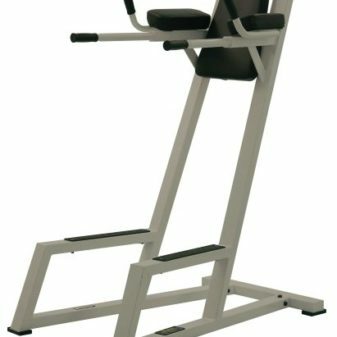 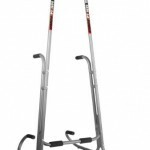 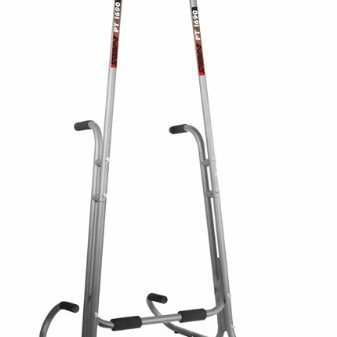 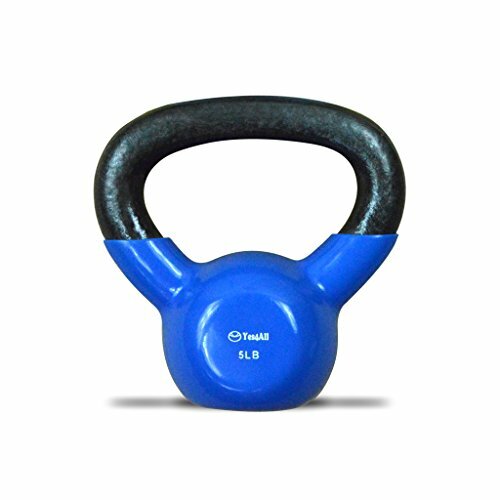 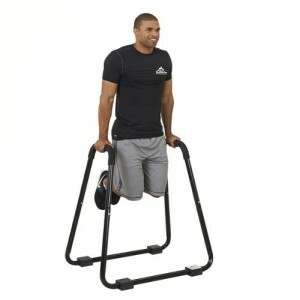 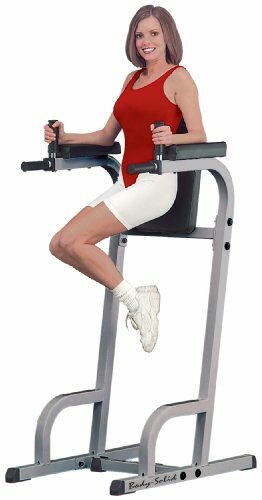 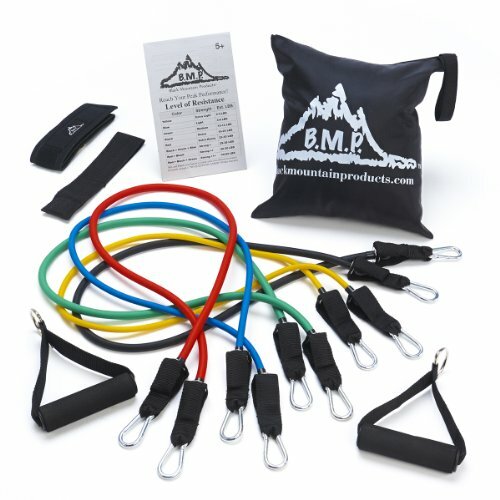 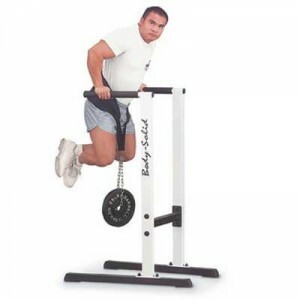 This upper-body developer is extremely stable thanks to its wide, extended base, which sits sturdily on the floor to eliminate rocking. 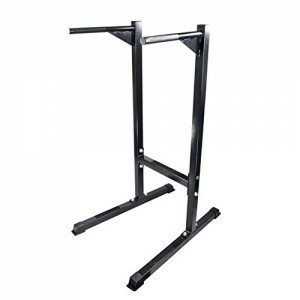 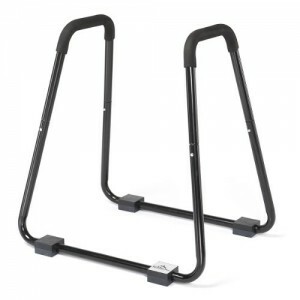 The 2-by-3-inch, heavy-gauge steel uprights, meanwhile, are perfectly angled to accommodate users of all sizes. 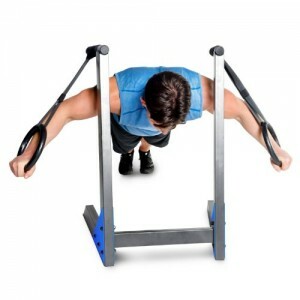 The bigger you are, the further out you position your hands. 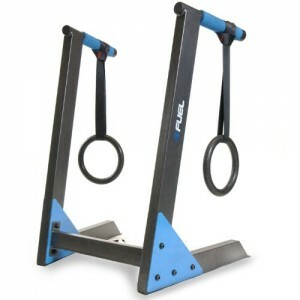 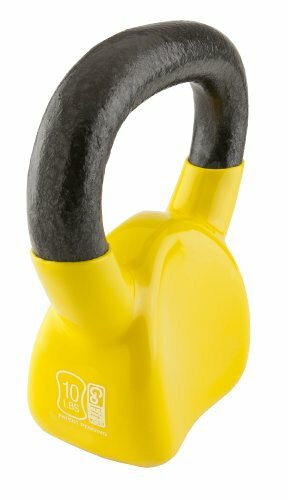 Finally, the station’s oversized 1-inch bars offer extra-thick, slip-proof rubber grips that allow for multiple hand positions. 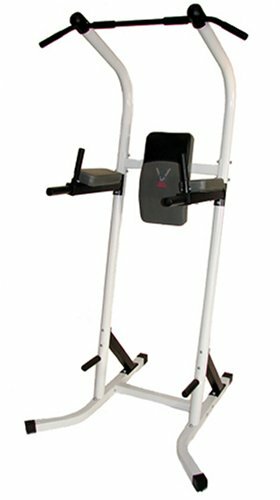 Ideal for home and commercial use, the dip station measures 27 by 53 by 38 inches (W x H x D) and carries a lifetime warranty.